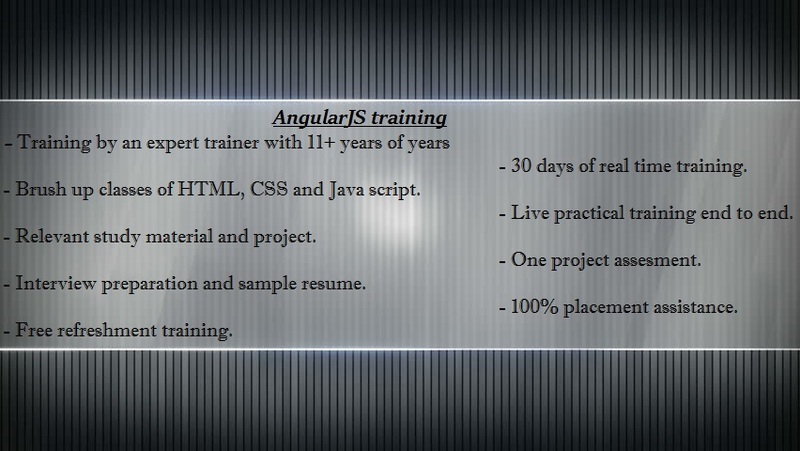 Intellect� knowledge� is one of the leading organizations in providing AngularJS virtual classroom training globally, our training helped so many individuals to get an opportunity in well-reputed organizations as our trainer is a working professional in software industry who is working in the same domain and also holds expertise in asp.net, MVC, C#, HTML, bootstrap etc, also certified Agile scrum masters with up to 11 years of experience. Training is completely practical to understand and implement in real time. For professionals who know few or more basics of asp.net, MVC, Bootstrap, J query, HTML etc and interested to learn practically, for them we start from practicals with hands on real time examples. � ATTEND A FREE DEMO SESSION BEFORE ENROLLING. Q) How the training mode is? A) We have a various mode of training(s) which meets your requirement. Instructor led classroom session in our head office, where 6-8 members will be joining. – Online training is virtual classroom over Internet applications, the tutor will be delivering the training online. Q) Who is a trainer? Q)� How long duration is? Q)� Do I get placement assistance? Q)� How placement assistance works? Q)� How to get enrolled?